The installed base will keep growing, more than doubling in size to reach 225 million units by 2020. 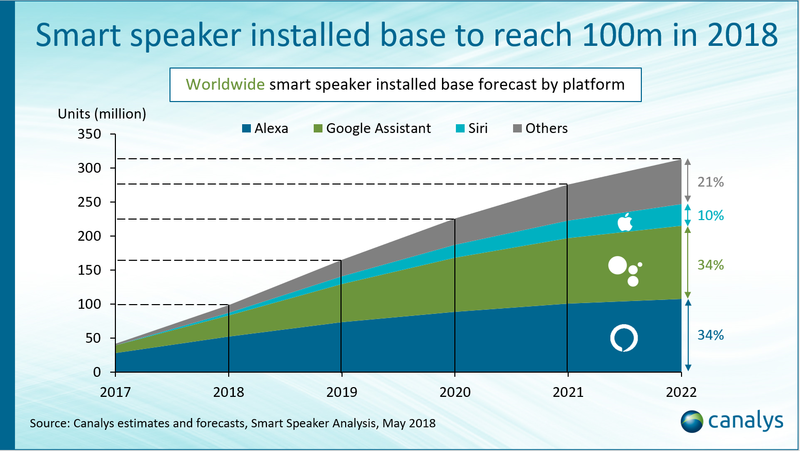 Amazon Echo devices will account for more than half of the installed base in 2018, while Google’s Home series will account for 30 percent. Apple’s HomePod models will trail, accounting for just four percent of the 2018 base. By 2022, Amazon and Google are expected to be neck to neck with 34 percent each of the installed base. “Amazon and Google will now take their devices beyond the smart home and deploy them in a range of new scenarios. Their business development teams are targeting commercial opportunities, such as hotels, offices, gyms and airports, with initiatives such as Amazon’s Alexa for Business and Alexa for Hospitality. These deployments are a major opportunity for the IT channel to develop solutions and provide technical skills and services that customers may lack,” said Vincent Thielke, Research Analyst of Canalys. 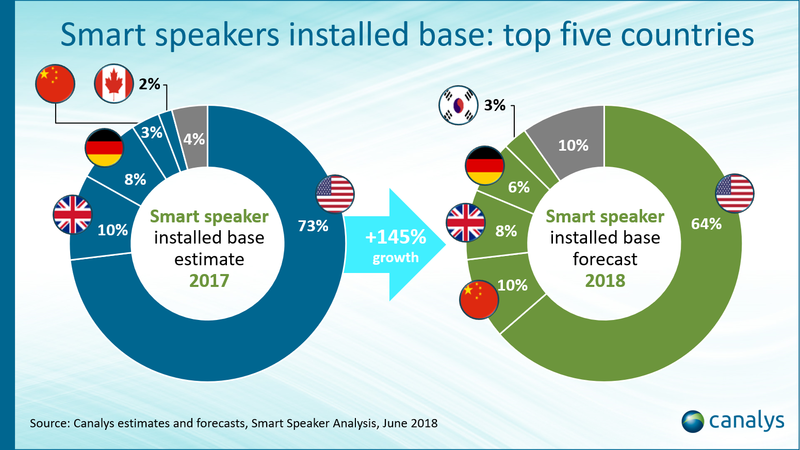 In China, Alibaba and Xiaomi are among local players that have invested heavily in the smart speaker market. “As competition intensifies, Chinese vendors will expand their product portfolios to hit more price points and offer a greater range of capabilities. But for long-term growth in China, a more complete voice service and better user engagement are just as important. China has massive potential, with more than 450 million households, over three times the number in the US,” said Hattie He, Research Analyst of Canalys.